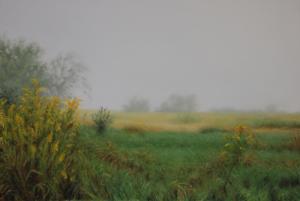 Our mid-western, prairie landscape provides the focus for Ann Coulter’s pastel drawings. Inspired by the wide-open spaces that define this part of the country, the artist captures moments that describe a sense of light, season, weather and atmosphere. Living near rural Elmwood, Illinois, Coulter has intentionally placed herself in the midst of her subject matter, relying on the ever changing views that surround her for most of her drawings. Trying to define and understand a sense of place is an important theme in her work. As we become more mobile and more fragmented, as relocation becomes a normal way of life for many of us, making meaningful connections with the places in which we live becomes an important issue. Coulter’s drawings are an invitation for the viewer to contemplate the beauty that surrounds us, and to re-connect with the natural world right here in our own back yard. Coulter uses photographs, which she takes obsessively, as a source for each drawing, providing opportunity for in-depth study and translation of a particular moment in time and place. Her interest has to do with striving to see what we might normally overlook or pass by, what we often tend to consider as insignificant. Ann Coulter was born in Joliet, Illinois and has lived in the Peoria area for 25 years. 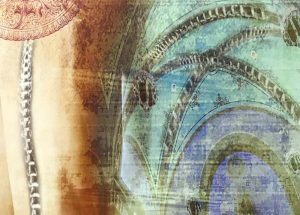 She holds degrees in art from Illinois State University, San Diego State University and Bradley University, and has taught drawing for Bradley University, the Peoria Art Guild and Lakeview Museum. She is currently a full-time working artist with a studio in the Murray Building in downtown Peoria. Delayne finished her “Master of Photography” in 1989. She has earned countless awards and honors over the years, including being named one of the “Top Ten Photographers” in Illinois 2 out of 5 years. Other awards for “Best Portrait”, “Best of Show”,and “Loan Collections” as well as being honored by having her worked selected for display at Disneyís Epcot Center. Delayne has taught, lectured and served as a judge in competitions. She has 3 children…..Wes, Haley and Paris. Toraason Glass was founded in 2003 by Hiram Toraason. It is a 4,000 square foot glass blowing studio and gallery. 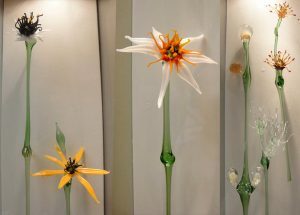 The gallery offers a variety of finished glass pieces for show and for sale, from functional to the one of a kind creations. Hiram Toraason is a local artisan, entrepreneur, and zen master. Most days you’ll find him in his studio, a converted machine shop that epitomizes the reinvigorated arts scene in Peoria. For more information, videos and examples of his art, click here.